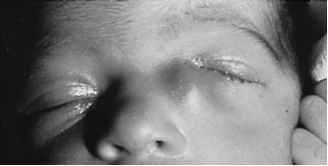 Neonates may present with acute dacryocystitis, an inflammation of the lacrimal sac (Fig. 41-4). Pain, tearing, redness, and discharge usually occur. If the child is febrile, culture testing and Gram staining should be done. S. pneumoniae and S. aureus are the most common pathogens. Systemic antibiotics are indicated for the acute stage. 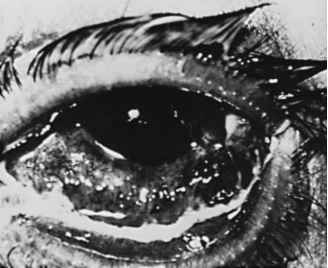 The ophthalmologist should be consulted immediately, because irrigation and probing may be necessary to establish drainage as quickly as possible. Severe cases may progress to a dacryocystocele, sepsis, meningitis, or even death, especially in young infants. IM, Intramuscularly; bid, twice daily; qid, four times daily. 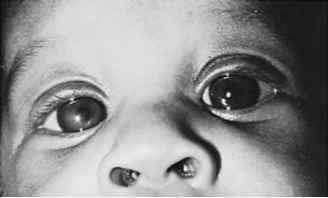 Figure 41-4 Acute dacryocystitis in a neonate with fever and malaise. Lacrimal sac massage and systemic antibiotics relieved the acute infection.